There isn’t much reliable information about Saint Valentine. According to the most popular legend, he was imprisoned and executed for performing clandestine weddings for Roman soldiers who were forbidden to marry. Another account claims that Saint Valentine was a priest who was imprisoned for sheltering persecuted Christians. Before his execution, he wrote a letter to his jailer’s daughter, Julia, whom he had miraculously healed from blindness. He signed the letter as “your Valentine”, and the expression has become associated with modern Valentine’s Day celebrations. Saint Valentine is venerated by the Lutheran Church and Anglican Communion. The Eastern Orthodox Church also celebrates his feast day, albeit in July. The Roman Catholic Church has not celebrated the feast since 1969, when it was removed from the General Roman Calendar. Saint Valentine’s Day has been associated with romantic love since the High Middle Ages. The first recorded association can be found in Geoffrey Chaucer’s poem Parlement of Foules. In the 18th century, lovers started to congratulate one another on the occasion by sending special greeting cards (valentines), offering confectionery and presenting flowers. 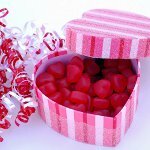 Mass production of valentines began in the 19th century, and the industry has been growing ever since. Valentine’s Day traditions have spread across the world due to the fact that the British Empire had a vast number of overseas colonies. The impact of American pop culture helped increase the popularity of the holiday even more. However, in many countries with predominantly Muslim population, officials warn people against celebrating Valentine’s Day. In Iran, Pakistan and Saudi Arabia, local authorities even banned any goods related to the holiday. Nowadays Valentine’s Day is widely celebrated even in the countries where Christianity is not a predominant religion such as Japan and South Korea. Interestingly, in these two countries, only women give chocolates to men, and men are expected to return the favor on March 14, commonly referred to as White Day. Valentine’s Day customs have not considerably changed since the 19th century. Couples go on romantic dates, exchange greeting cards and gifts. Some people see Valentine’s Day as an occasion to confess their love to a person they have silently admired from afar. Sometimes people send anonymous valentine cards because they want to express their feelings but are aware that their love is unrequited. There exist a number of celebrations that were created as a response to Valentine’s Day. For example, Singles Awareness Day is celebrated by people who are not involved in a romantic relationship, and V-Day is dedicated to combating violence against women. In addition, some countries have their own celebrations of romantic love similar to Valentine’s Day, for example, Dia dos Namorados in Brazil, the Qixi Festival in China, Peter and Fevronia Day (Day of Family, Love and Faithfulness) in Russia, and Tu B’Av in Israel.